Red striped with a yellow undertone. Flavor notes include a super-sweet burst with a sweet snap finish. The best for eating out of hand! The KIKU® apple was discovered in 1990 by Luis Braun, an Italian fruit grower who noticed one branch on an apple tree with different looking apples. He propagated those apples and eventually created the KIKU® trademark. KIKU® apples are some of the sweetest apples grown in the world. Did you know? 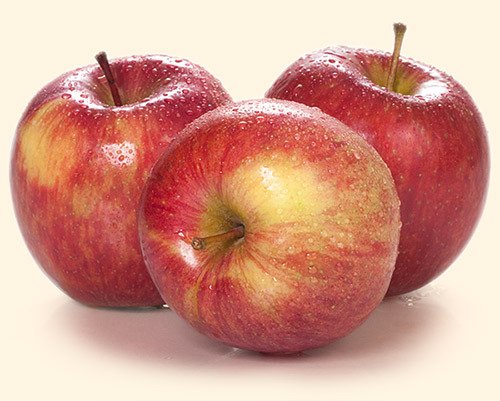 There are only 3 companies licensed to sell KIKU® apples in the USA- Rice Fruit Company, All Fresh GPS and CMI Orchards. © 2018 Rice Fruit Company. All Rights Reserved.